Experience what the Finger Lakes are all about with a 2-hour tour on a 67’ sailing schooner. Your exhilarating Midday or Midafternoon Finger Lakes sailing adventure offers the opportunity to get out on the water in a small, intimate group of no more than 22 sailors. An exhilarating 2-hour Midday or Midafternoon tour on a 67’ sailing schooner. Inn Harvest cooler filled with a selection of local cheeses, veggies, crackers and something sweet to enjoy during your adventure. A Signature stainless steel insulated water bottles, in a color of your choice. Schedule a “Hands-on” class in F.L.A.V.O.R. 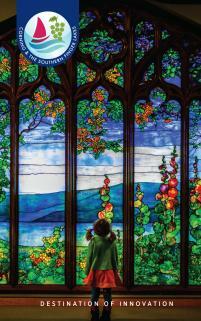 Studio, on the grounds of the Inn, to create a one-of-a-kind keepsake to take home. 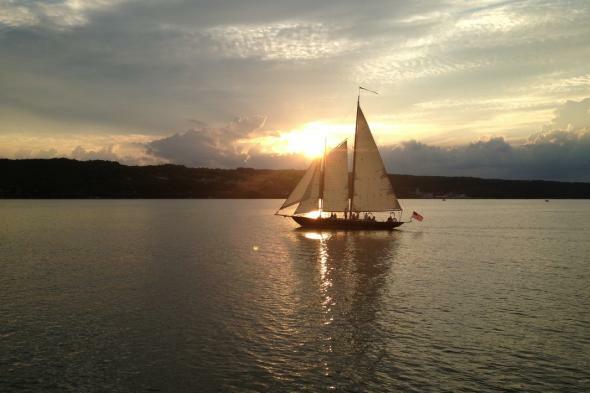 The Finger Lakes Sailing Adventure Package is $125.00 per person, is an add-on to your stay and not included in the cost of your guest room. Please add an additional $12 per person for the Sunset Cruise option when available. 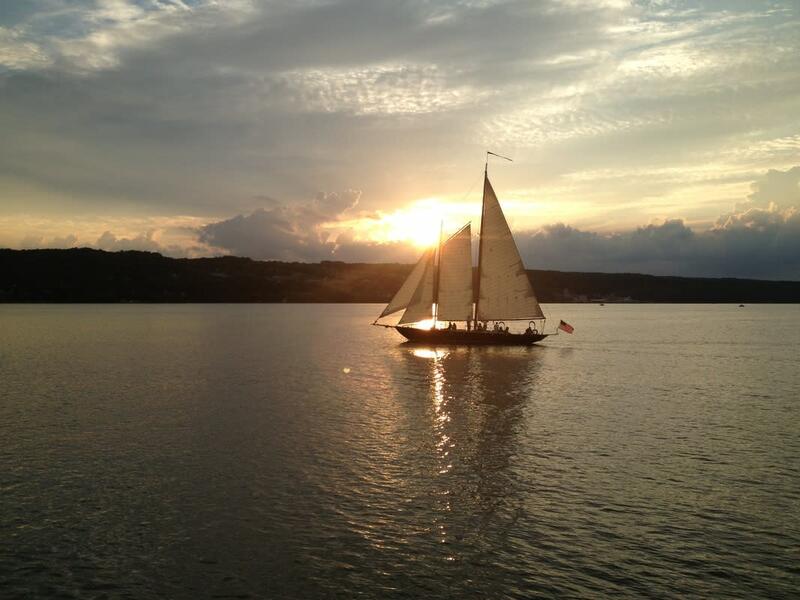 To enjoy our special organic Farm to Table breakfasts, reserve your room at the Black Sheep Inn and Spa, a premier Keuka Lake bed and breakfast, and be sure to add the Finger Lakes Sailing Adventure package to your itinerary when booking your stay. PLEASE NOTE: All Special excursions are subject to proper weather conditions, and may be rescheduled for later in the day, or the next day based on availability.